← What is that smell?! Today we initiated a crossing over, and completed a crossing over. 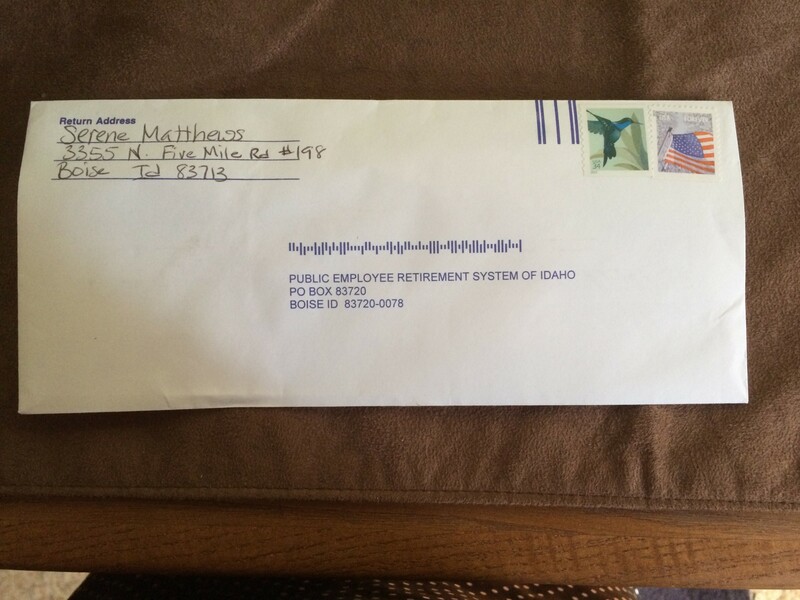 I actually mailed my application for retirement to PERSI, Public Employees Retirement System of Idaho. Randy and I had to go sign in front of a notary documenting that the choice of payment was acceptable to me as the member and to him as my husband. Then we mailed it. October 1st I will be crossing over from employed to retired. 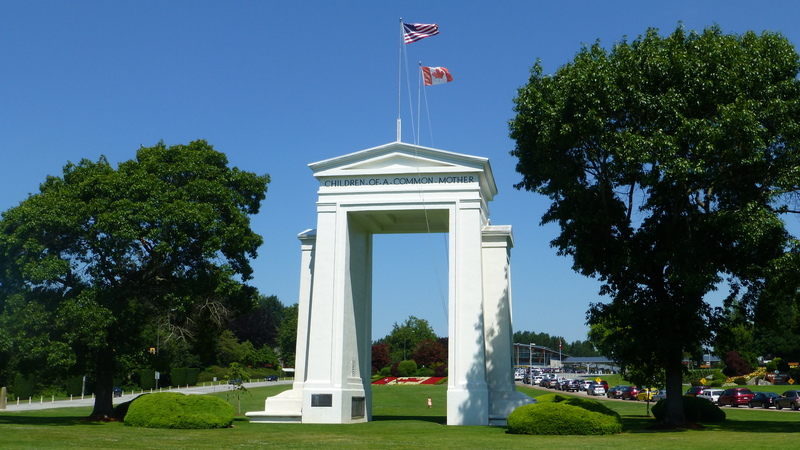 Then we went to Peace Arch Park, a joint park between the state of Washington and the province of British Columbia, at the border. Within this area, approximately 300 yards long, you can meander from country to country. 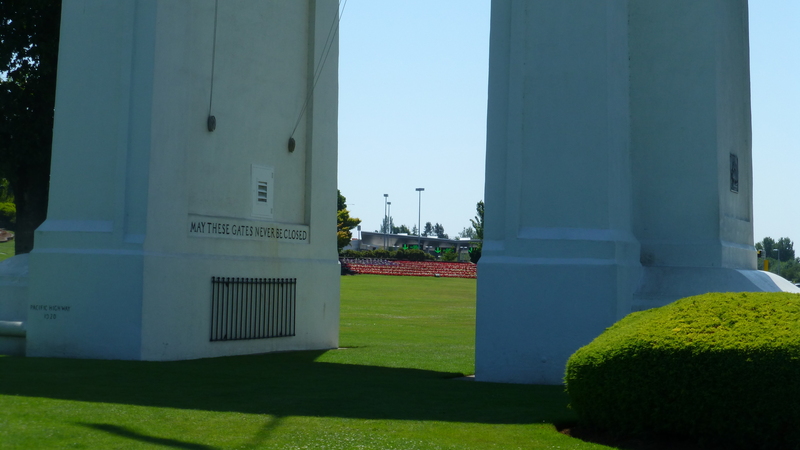 It was quite nice with the sentiments expressed in the arch and each country’s flag represented in flowers. Elko and I have three feet in the United States and three feet in Canada! Crossing over. 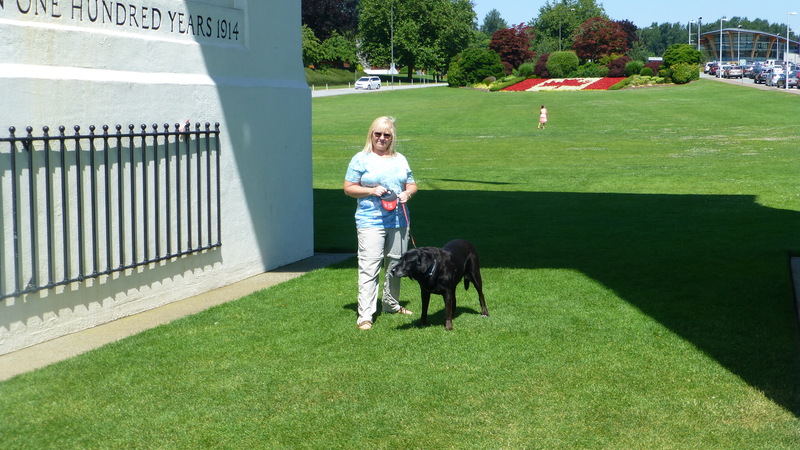 Tomorrow we leave here to go to the Vancouver that is farther away, (Vancouver Washington instead of Vancouver, British Columbia) for a visit with my parents. Retirement application! That is something to celebrate! We will help you celebrate! Congratulations Serene– the “Retired” label is a little awkward to wear at first (at least for me), but you quickly adjust to it. I’m enjoying your travels w/ Randy vicariously through your posts– some great looking stops to date. Have a great time! Thanks Jim. Right now it feels like we are on an extended summer vacation. The retirement aspect will feel more real once school begins, knowing that I’ve just six more weeks to work. I am excited to be a new teacher “coach” but it will likely be strange not to have new kids of my own after all these years. I have a feeling you’ll love retirement. You two never run out of exciting things to do. It’s cool that you had three legs in the U.S. and three in Canada at the same time. Not everyone is that clever. What can I say, Elko is good at a lot of things. Elko is very clever. And handsome. And well behaved. And…..
We are so happy that you two are having such a great time! We can’t wait to meet up with you somewhere…soon! Serene, congratulations on the retirement decision too!